Not an early adapter to social media, I became a Twitter convert after RealClearPolitics’ co-founder Tom Bevan impressed upon me the value of using tweets to tout my colleagues’ work -- a worthy cause. Other uses for the medium presented themselves in the past year: being apprised of last-minute changes in presidential campaign schedules, fact-checking alerts, and news bulletins on unfolding events ranging from Hurricane Sandy to the perfect game being hurled by Seattle’s “King Felix” Hernandez. Yet, Twitter also lends itself to one of the Internet’s most noxious features -- the dissemination of bogus and misattributed quotations. My “friends,” to use the nomenclature of another social networking site, know phony quotes to be my pet peeve. But Twitter is more egalitarian than Facebook, so I’ve been deluged, along with everyone else, by the counterfeit Churchill, the fabricated Lincoln, the fake Twain. Receiving such missives, even if they are only 140 characters long, presents an ethical dilemma. Although no one likes being branded a scold, does a failure to correct them connote acquiescence? I like Buddy Roemer, find Cory Booker refreshing -- and maintain good relations with Arianna Huffington. But cognizant of the relatively new axiom that “nothing digital ever dies,” I try and gently correct such inaccuracies when I can, which I did with the Twain misquote. Nov. 30 was the great writer’s birthday, as it happens, and I’d mentioned a few of his pithy observations in a morning essay I’d written myself. But Arianna kept tweeting out “Twain” quotes -- it seemed she was touting a slideshow on the Huffington Post -- so I clicked on it with a sense of trepidation. 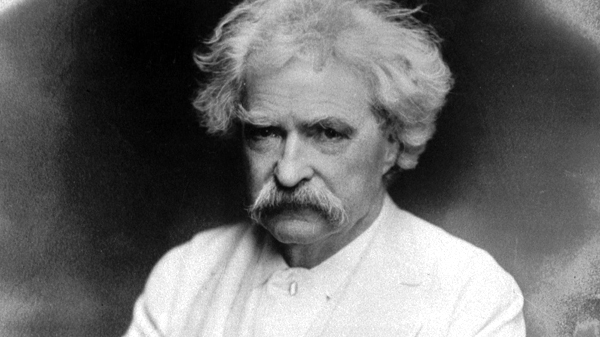 What awaited the reader were 27 quotes, most of which were not Twain, starting with the first one: “Don’t go around saying the world owes you a living. . . . It was here first.” Although that sounds vaguely like Twain, it’s actually from Robert Jones Burdette, a Union private from Illinois who after the Civil War became a prominent Iowa newspaper humorist and then a California pastor. If my sleuthing is correct, only 11 of the 27 were authentic. The rest were purloined from other writers, fabricated out of whole cloth, or of unknown derivation, but not traceable to Mark Twain.